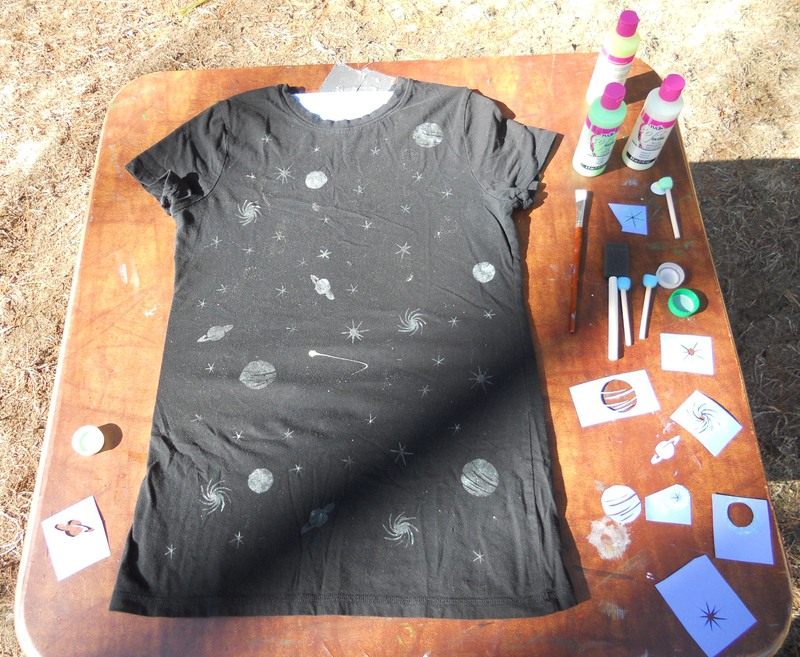 Today I’m going to show you how to make your very own, glow in the dark space shirt. 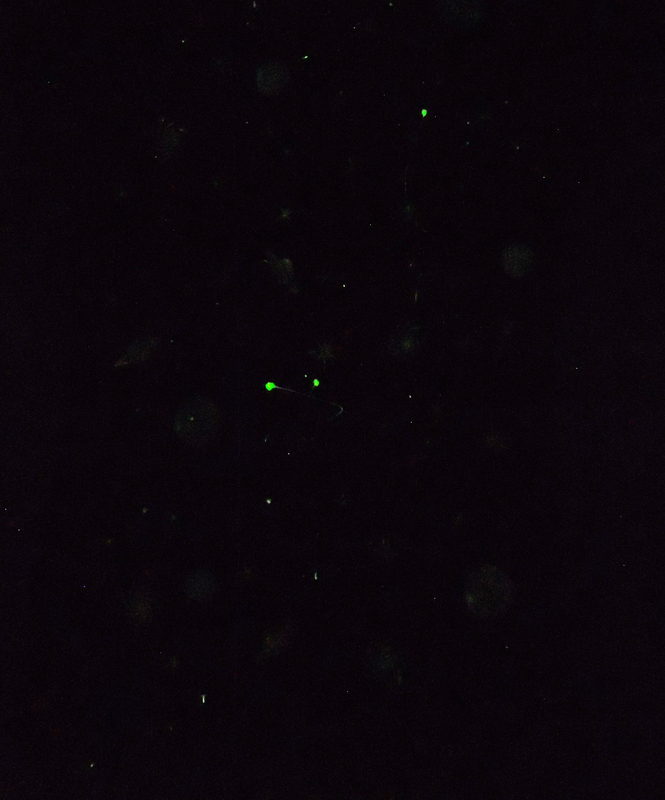 I love anything that glows in the dark, anything I can do myself, and anything neat. And I think space shirts are pretty neat. Cut out some stencils. This was tedious. 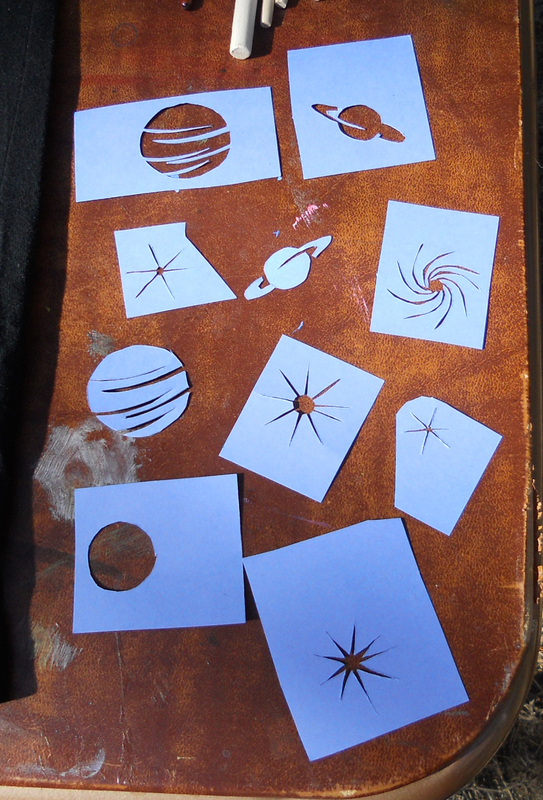 I did a Google search of “planets, “star burst,” and, “space,” and found clip art ish pictures to use. I moved them into Microsoft Word, sized them down to about 2 inches, printed them on card stock, and then carefully cut them out with an exact-o knife. If you’re more artistic, you can probably free hand some cool designs. But you’ve seen my comics. I needed the internet for this. 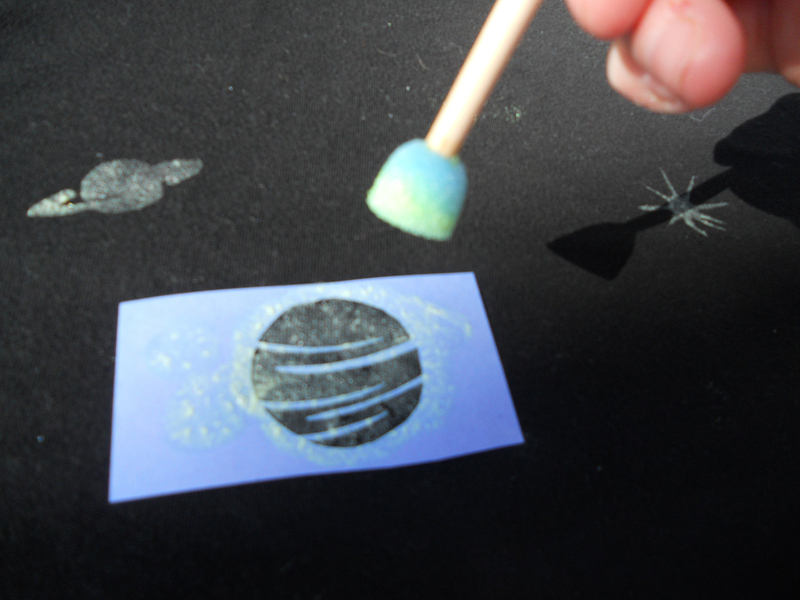 Make sure you leave the surrounding paper intact, you’ll need it to hold / keep the paint only in the shape. 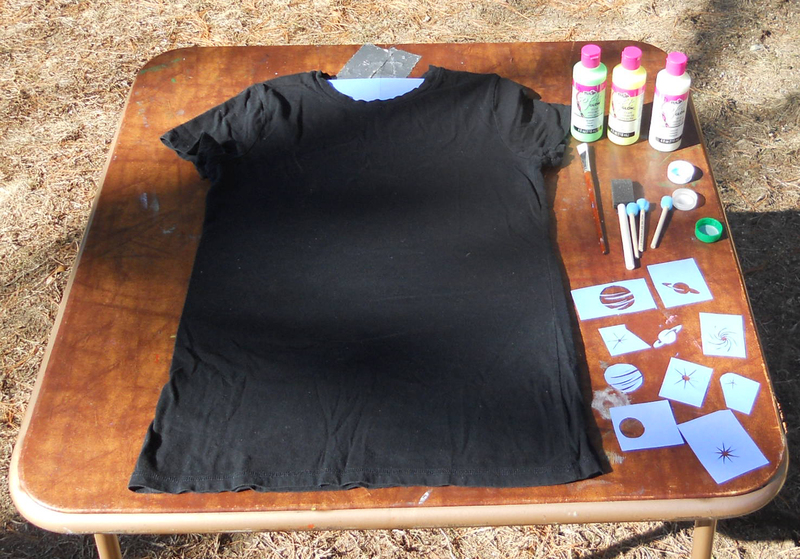 Prep your t-shirt. I used an old one I already had but if you buy a new shirt to use, consider washing it first. 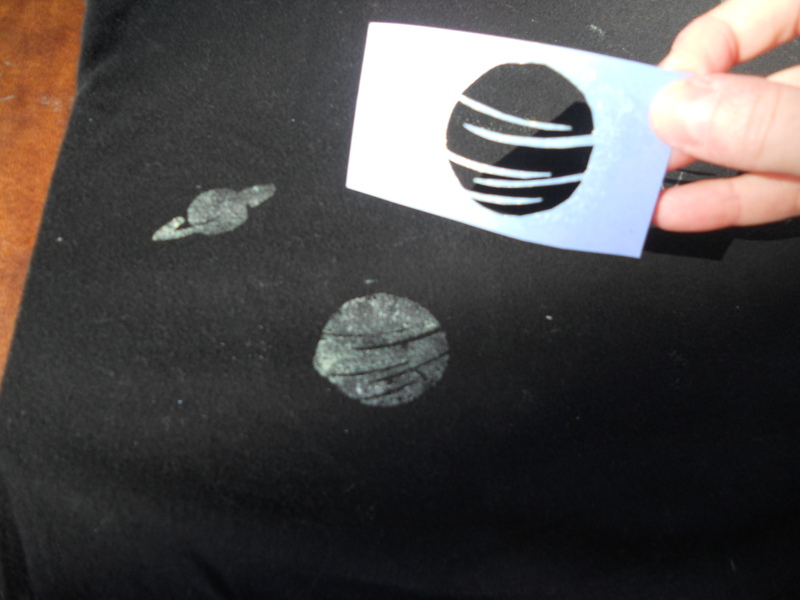 If they fabric isn’t pre-shrunk and you wash it AFTER you apply the paint, your stars and planets could wrinkle up a bit. I placed a piece of cardboard in the shirt, for 2 reasons. The first was I didn’t want the paint bleeding through and drying, because then the layers would get stuck. 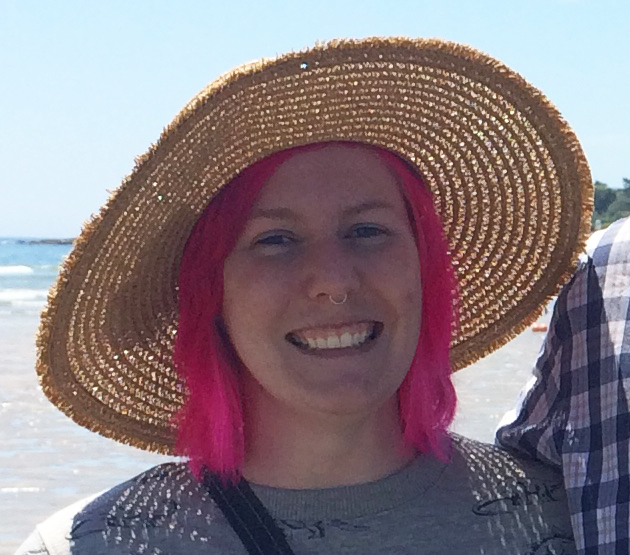 But also, I wanted to make sure I had a smooth surface to work on. Time for paint prep! 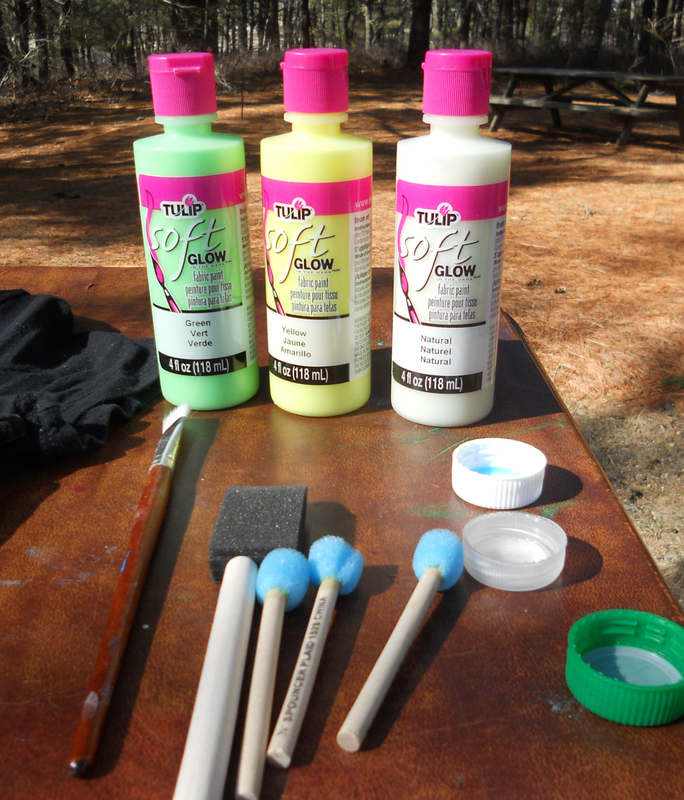 I used Tulip Soft glow in the dark paint, as opposed to puff paint. This paint is designed to be painted on and it’s a little more flexible than puff paint, so it’s perfect for a project like this. After shaking it well (the bottle says to), I squeezed some into a soda bottle cap and worked from there. I like soda bottle caps because they are small and it cuts down on my paint waste. Finally, time to create! Take one of your shapes and hold it down firmly on your shirt. Dab your spouncer in the paint, and then bounce it on top of your stencil. You don’t want to drag it as this will make the paint more likely to bleed out of the stencil shape. When you lift it up, you should see a planet! Continue until your shirt is covered. And paint splatter is a good thing. It’ll give your shirt that galaxy-haze! Let it dry (see paint bottle for drying instructions), charge it up, and ENJOY! It turns out that I have to find a way to put A LOT more paint on at one time, since the stencils don’t leave a “second coat” option. But if you click that picture and look at it real big you can see the planets! I’m happy with how this first-attempt turned out, and I cannot wait to make more!